Halloween is not only black and orange. 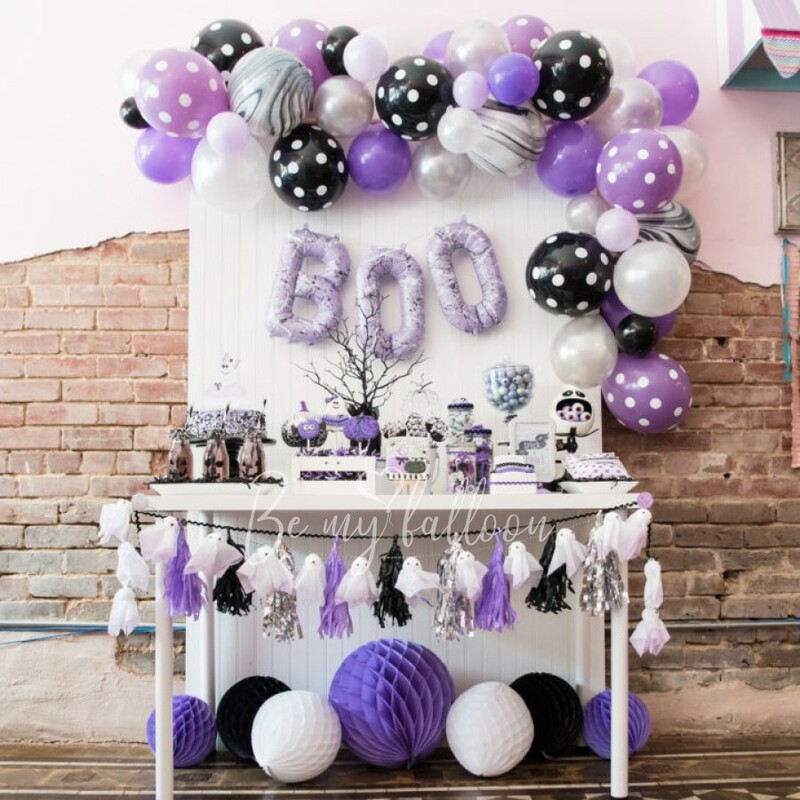 Purple can be also used in balloons decoration. It can be a decoration for a Haloween party, it includes a balloon garland, letters and some paper decoration. It can be a decoration of a candy bar or a whole photo zone. This package includes: - an organic garland 3 meters - 3 air inflated foil letters 16" - 1 paper tassel garland - 7 paper honeycombs. Pumpkin as a symbol of a Haloween needs to be used in decoration on this day. The ultimate Halloween party package for every scary ghoul, ghost and ghastly creature out there! BOO! Are you afraid of the ghosts? Our ghosts are not real, they are very beautiful and kind. Excellent decoration for a not very big Haloween party.